CSUN baseball traveled to Tennessee to play the No. 14 ranked Vanderbilt Commodores this weekend. The Matadors took two of the three games, winning the first game 6-4. Catcher Albee Weiss had two RBI’s including a solo home run to left field in the second inning, which gave the Matadors their energy to take the win. In the second game, CSUN’s pitcher Tei Vanderford threw a complete game, taking the win of 4-1. The Matadors, however, could not sweep the Commodores as Vanderbilt took the last game of the series 11-3. They will travel down to UCLA Tuesday to face the Bruins for the second time this season. In their first face-off CSUN took a 6-5 win. Women’s basketball lost their last game of the regular season against UC Davis 55-63. Although the women put up a close game, records are close to being broken on the court. Sophomore Channon Fluker is the fourth player in the history of the program to pass 500 points in a season, but she is also 24 points away from setting the school record. Shooting guard Serafina Maulupe is also five three-pointers away from setting a new school record. As of now, she has 79 three-point shots. The women will continue to the second round of the Big West Tournament on Wednesday. The men’s basketball team lost their fourth consecutive game to end the series. 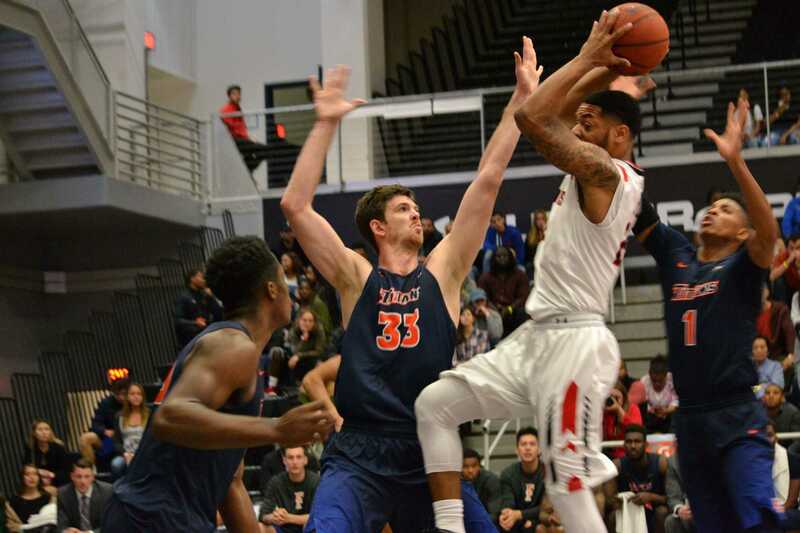 On Saturday they played the Cal State Fullerton Titans, losing 78-86. Senior Aaron Parks is on the Matadors all-time scoring list, putting himself at 15th with 1,090 points. They will play against Cal State Fullerton in the Big West Tournament on Thursday at 2:30 p.m.